At their meeting in Melbourne this week, Energy Ministers from around the country will consider an issue that has the potential to save households and businesses hundreds of millions of dollars each year. The cost of building, operating and maintaining energy networks—the poles, wires and pipes that transport electricity and gas—make up around half of the total cost of your energy bills. The businesses that run these networks are monopolies that have their revenue set every five years by an independent umpire—the Australian Energy Regulator. But the network businesses can seek ‘Limited Merits Review’ of these decisions, a process that in practice gives them a free pass to try and squeeze extra money out of households and businesses. This review process is deeply flawed and should be scrapped. The merits review process is so biased towards the network businesses that from 2008 to 2012, 22 regulatory determinations were reviewed by the Australian Competition Tribunal, resulting in a $3.6 billion increase in the amount the businesses can charge customers. In no decision were revenues for a business reduced below the level set by the regulator. In effect, the networks never lost. The merits review rules were changed in 2013 to try and provide for more balanced outcomes. But evidence from reviews under the revised framework to date indicate that it is still too easy for the businesses to contest the original decision. Twelve businesses have sought merits review since 2013 seeking around $7 billion in additional revenue, and all have been granted the right to appeal. There still appears to be little or no risk of an adverse outcome through this process. It is telling that the outcome of the recent appeal by SA Power Networks, where the grounds of review were not made out and the regulator’s original decision was allowed to stand, was seen as a huge win for consumers. (The business has subsequently sought a further review of the Tribunal’s decision). So why does the review process exist? There is always a risk that a decision-making body will come up with the wrong answer. It is, therefore, important that those affected by the decision have an avenue to question the original decision. The critical question is: how wide a review of the original decision should be allowed? Review mechanisms vary from a full rehearing of the original material, to narrower reviews on questions of law only. What is an appropriate review mechanism will depend on the nature of the original decision. It has been recognised that merits review is not suitable for complex regulatory decisions like energy network revenue determinations. The Administrative Review Council, an expert body that provides advice about administrative law, has said that merits review is less appropriate for decisions ‘that are the product of processes that would be time-consuming and costly on review’. Limited Merits Reviews that take nearly a year and cost millions of dollars to conduct, would seem to be the type of processes the council was concerned about. The complexity of the process is made clear when you consider that the merits review hearings for the New South Wales and ACT businesses in 2015 included over 1 million pages of material being provided to the Tribunal and saw the networks represented by over 40 barristers. At its core, merits review of government or regulator decisions is supposed to allow for the reconsideration of those decisions as they affect individuals—remedying the power imbalance between those individuals and large bureaucracies. However, we should question whether the large multi-national corporations that own our energy networks and hold significant power in the decision-making process require this level of protection from the state. While merits review is also open to participation from consumers seeking to question the regulators decision, in practice the ability for consumers to meaningfully participate is limited. Recent consumer challenges have been led by small non-profit law and policy organisations such as the Public Interest Advocacy Centre. Despite their skills and expertise, these groups will always be significantly outgunned on resources by the businesses themselves and have failed to influence review outcomes. In making its decisions, the regulator applies guidelines that it develops in consultation with industry and publishes for all to see. A narrower appeal framework based around judicial review (review of questions of law) would allow businesses to challenge whether any exercise of discretion is consistent with those guidelines. Clear public statements of approach, supported by legal precedent in the interpretation of those statements through judicial review, should ensure sufficient rigour and due process that there are no surprises for the regulated businesses. The network businesses themselves strongly support retention of merits review, largely based on the claim that it is necessary to provide ‘regulatory certainty’ to facilitate ongoing investment. They claim that merits review is the best way to keep the regulator in check given the large amount of discretion that it can exercise. It making this argument, it has not been made clear why merits review provides any more certainty than a framework based just on judicial review. Recent merits review decisions by the Australian Competition Tribunal also cast doubt on claims that it is best suited to providing regulatory certainty. The Tribunal in 2016 released separate decisions on reviews for the New South Wales and South Australian electricity distribution networks. Some of the matters considered in these reviews were nearly identical, yet the (differently composed) tribunals came to vastly different conclusions on the question of whether the regulator had made an error. The nature of the price setting arrangements is now cyclical and interminable. Merits review is largely seen as just another step in the process rather than a safety net to ensure robust initial decisions. In New South Wales, the revenue setting process began in May 2014 and informally well before then with discussions between the business and the regulator. Appeals of this process are still being considered by the Federal Court. We now have the absurd situation where the process of setting revenues may take longer than the period for which revenues are set. 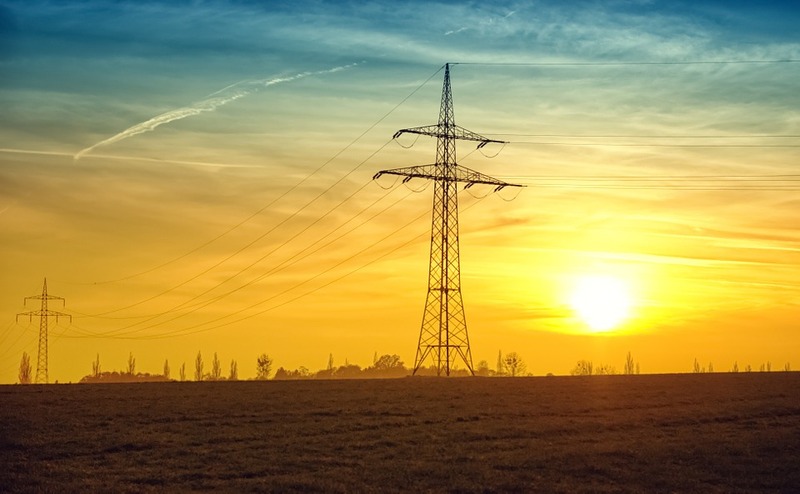 Similar delays are now expected in South Australia with the electricity distribution network lodging an appeal for judicial review of the Tribunal’s merits review decision handed down in October. The impact of these appeals is that consumers have no certainty as to what the actual supply costs should be. At some point networks that successfully challenge the regulator’s decision will be able to back-bill consumers, exacerbating the problem of high energy costs. National energy markets and regulators are governed by an objective that promotes the long-term interests of consumers. If energy ministers nationally want to promote the consumer interest, a simple step would be to abolish the ability of network businesses to seek merits review of revenue determinations. We need stronger regulators to ensure the private network businesses are held to account, not shackling of the regulator through adversarial appeals mechanisms.